Following a successful workshop in Cardiff we are offering a second Practical Strategies for Learning from Failure in Leeds on Thursday 8th October 2015. If you are interested in attending here’s the link to register your interest. @dosticen How can we build time for reflection into our digital lifestyles? @DyfrigWilliams Failing to learn from failure and Learning from failure in complex environment – what does this mean for audit? There are limited places available for this free workshop and early booking is advised. If you are allocated a place and unable to attend please let us know as soon as possible so that we can give your place to someone on the waiting list. The #LFFdigital team look forward to meeting you in Leeds. 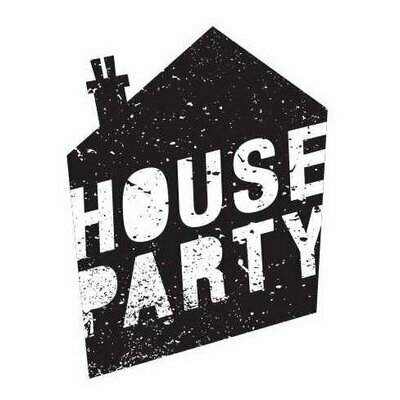 This week I am attending HouseParty the first ever unofficial housing fringe bringing together grassroots housing and social change-makers to explore, showcase and discuss the latest innovations in UK housing and beyond organised by @HACThousing and @SocialChangeAg. Have a look at the innovative programme and follow #hseparty14 to understand what has inspired @HseParty. My one regret is that the health and social care sectors have not seized this opportunity to engage with housing colleagues in addressing the challenges of community engagement and digital inclusion. On Wednesday 25th June at 9.30 @PaulBromford, @HelReynolds and I will be contributing to @HseParty by having a very social conversation and we would love you to join us using the hashtag #socialconvo. Helen, Paul and I come from very different backgrounds but we share a belief that being social is about sharing generously, creating relationships and seeking new collaborations. Paul has shared 10 Things We Learned About #SocialMedia Behaviours From #PowerPlayers14 in this rather stunning presentation. Just in case you have not seen the latest Socialnomics video! Helen, Paul and I hope you will join us on Wednesday 25th June at 9.30 to explore “How social is your organisation and what investment do you need to make to become an influencer in the increasingly crowded social space?” We welcome your thoughts, comments and questions via #socialconvo! PS: Congratulations are definitely in order for @HelReynolds who was number one on the #powerplayers14 list and who recently won the local government category of the Digital Leaders 100 Awards. If you would like to explore the benefits of having a social conversation in your organisation do get in touch! It was a risk for us not just in terms of the finances and resources required but because we all have a strong social media presence. What would happen if no one wanted to come and join in the conversation? Happily there was a lot of interest in #socialconvo which we see as the beginning of a very different social conversation. It sounds so obvious really that every event costs money to put on. If it is free for attendees it is because an organisation or organisations are providing the resources to cover the costs of venue hire, refreshments, staff time and promotion of the event. So a big thank you to the people who sponsored places at the event. What made this conversation special for me is that Mark, Paul and I first connected through Twitter. Where else could I have met one of the smartest thinkers in the worlds of social media and mental health and the dynamic Innovation Coach at Bromford a social business providing homes and support to over 80,000 people? We have a shared interest in how social media is defining care, support and community engagement in a digitally connected world and we recognise the importance of seeing social media as part of a core vision to transform organisations rather than a marginal activity. As Mark said “with the growth of mobile technology like smartphones and tablet PCs; social media feels less like a set of websites that we visit and more like a layer of communication, community and interaction that sits over our everyday lives. The growth of social media has led to an expansion in the self-production of media and to a blossoming of public debate”. Social media has played an enormous role in giving a voice to people and organisations who previously had no platform and offers the opportunity for sharing different stories. The potential to build more connected communities both online and offline who can debate everything from the impact of welfare reform to how digital technology in transforming our lives is immense. Social influence and digital leadership is now coming from a much more diverse group. The new influencers use Twitter, blogs, Facebook, YouTube, LinkedIn and other social media platforms to reach thousands of people. Connections are built on relationships and they are grown through conversations which can involve many different people from across the world. Social media provides endless opportunities to be creative and challenge artificial boundaries especially between the generations if we are brave enough. Social media is also a great leveller because it is not dependent on status but rather the value each of us brings to a conversation. Despite what the pundits say about older people not being that digitally savvy the fastest growing demographic on Twitter is the 55-64 year old age bracket. 189 million users of Facebook are only using mobile devices and 25% of smartphone owners aged 18–44 say they can’t recall the last time their smartphone was not next to them. We were very touched by the support we received both from people attending the event and the conversations taking place online. I thought it would be useful to provide links to the resources generated through our very social conversation. Do you have a question for #socialconvo? The digital revolution is about people, social networks and connections not the technology. Technology is most effective when it is invisible. It is an enabler and what is important is what it allows us to do. I believe our challenge is to use social media to do something greater than what we could otherwise accomplish. Social media is not free and whilst it costs very little to set up a social platform it needs time, money and people to maintain your presence and have your voice heard in an increasingly crowded space. Get the basics right – make it easy for people to connect with you. This may sound obvious but if you are an organisation with a responsibility for promoting social good you need a strategy for responding to questions and comments online. A tip for any organisation is to make it easy for people to find you by promoting your social media presence! One of my favourite quotes from Mark “Without a response plan social media is just an answering machine for messages you have no intention of listening to”. Value and respond to feedback and comments. Having a Twitter, Facebook or LinkedIn profile, never responding to comments and rarely updating shows a real lack of interest in being social. Strangely some organisations do not appreciate that all social media communications are in the public domain. An idea does not care who has it – share generously your knowledge, passions and links to resources you have found useful, enjoyed reading or even just made you smile. People are looking for more openness and transparency in the social age. This has many implications for organisations who are not used to this level of accountability and public debate. Being able to tell a story is a powerful and compelling element of social media. With so many competing influences you have to work hard to build and sustain trusted relationships online. Each of us has a unique voice do not be afraid to use it to tell your story. If you would like to explore the benefits of social conversation in your organisation to explore how to use social media for social good do get in touch! On Tuesday 29th April Mark Brown, Paul Taylor and I will be having a very social conversation about what social media can do to make social good better. Social media has played an enormous role in giving a voice to people and organisations who previously had no platform. Social influence and digital leadership is now coming from a much more diverse group. The new influencers use Twitter, blogs, YouTube and other social media platforms to reach thousands of people. People are beginning to wake up to the potential for social media to deliver social good. Organisations and communities who previously dismissed social media as a fad are beginning to ask ‘what can social media do for us?’. But where is social media now? Where might social media be in five years time? What might it offer to anyone wanting to meet the growing need for new answers in delivering social good and transforming services? This is an exciting time to explore the impact of social media in a digitally connected world and think about how social media could transform your work and organisations in the near future. As part of the conversation Paul Taylor is chairing a ‘Question Time’-style debate exploring ways to develop skills as an influencer in the social space. You are invited to submit questions for the debate either through the comments here or using the hashtag #socialconvo on Twitter. Whilst we cannot guarantee to answer all of the questions submitted it will certainly be a lively debate! A limited number of tickets are still available to attend this unique event and you can book here. Thanks to everyone who has submitted questions via Twitter! ‏@clarkmike#socialconvo – how could 151 Health and Wellbeing Boards use social media to engage 53m ppl on transforming health/care through £5bn#BetterCareFund? ‏@jess1ecat #socialconvo – how can we translate social media campaigns into tangible offline activism? What if social media wasn’t a place for building brands? What if social media was not just another publicity channel? What if social media was not just a way to push your message? What if social media was a place where social good could happen, rather than a place where people put out campaign messages saying social good should happen? Social media, the name we give to a whole variety of different platforms, activities and mechanisms, is already all of those things. As I’ll be exploring further at “What can social media do to make social good better?”on April 29th, it’s incorrect to think about social media as medium for publishing content or for ‘doing publicity’. You can, of course do that if you so choose, but you’re really not seeing social media for what it really is. With the growth of mobile technology like smartphones and tablet PCs; social media feels less like a set of websites that we visit and more like a layer of communication, community and interaction that sits over our everyday lives. The growth of social media has led to an expansion in the self-production of media and to a blossoming of public debate. Social media can almost be considered a series of glorious, noisy islands lying off the coastline of traditional ‘real life’. The growth of public debate has grown from a mass adoption of this new kind of connectedness. People who have made a career as social media strategists will tell you lots of stuff about brand value, reach, conversion and will keep talking until they’ve wowed you with metrics and strategies. Great, if that’s your bag, but they’re really talking about social media as a vehicle to drive sales. What if driving sales is not your aim? What if the relationship you want with other people is not just through the mechanism of financial exchange? As with the adoption of mobiles phones and of text messaging, after an initial rush of early adopters, it has been people in the broadest sense, not organisations, that have made social media a force with which to be reckoned. Social media is still in a Wild West phase, not yet quite assimilated into our existing institutions and structures. It still allows hitherto impossible situations of creative disruption to existing ways of doing things – or at least it does if we grasp its potential. It has opened a new space where things might happen, and one which those with existing bases of power are keen to either occupy or to police. Despite this element of creative disruption, the great, the good and the powerful have gone to where the people are, rather than trying to draw the people to them. Social media, once a flash in the pan to be discounted has increasingly become another front in the battle for real world power. At present all social media is a jostling between subversives, establishments and everything inbetween. Just as the access to people has drawn those with real world power, the same has also been true of those who have previously found themselves ignored, discounted or acted against. Social media, for the time being at least, has evened some of these hierarchies. This is by no means guaranteed to be the case indefinitely. Social media is only the sum of the ways in which it is is used and is constantly in flux; making it even more important that we seize the time to make social good happen via social media. In a Nominet Trust paper published in 2011, Charities’ use of the internet – Current Activities and Future Opportunities: A state of the art review, Dr Eleanor Burt and Professor John Taylor explore the ways in which charities are using the internet as a means to generate value. They write about an emerging way of doing things online, with people’s online activities representing a series of expectations which, far from the mass consumption model of previous generations, “these consumers, it is argued, look to create relationship value with organisations, value that is personal to them, value that can be sustained or reduced by the specific encounters that they make”. ‘Relationship value’ is one key to understanding the potential and actual benefits of social media. People who are engaged with social media are not passive recipients of information. They are people who are actively seeking relationships with those that they follow, be they individuals, institutions or organisations. According to Burt and Taylor: “citizens (who are also the employees, volunteers, service users, and other stakeholders of third sector organisations) come increasingly to embrace the online environment, there will be growing imperatives to adapt and change in pursuit of new information-intensive relationships. Increasingly, what we recognise as the public sphere is extending further and further into social media space and what happens in social media space is increasingly influencing the rest of the public sphere. One of the most exciting, and challenging, aspects of social media is that it’s happening right now. It does not happen when the newspaper publishes a story based on a press release, or during office hours. Social media is a constant and never ending river made of packets of information. It constantly rolls past the attention of people observing. As social media brings people together around interests (this is what I am interested in) and affinities (this is the kind of person I value) people with strong interests often find themselves conversing and sharing on a relatively level playing field, rather than finding themselves being divided by traditional organisational, structural, geographical or professional barriers. In this lies the potential for social media to jump traditional divisions between peers, and between organisations and the public. While relationships that extend across geographical and professional boundaries are the building blocks of social good through social media, the real horizon for building social good through social media is its potential to help us build things that are bigger than us. Social media connects us with each other, with information and ideas and possibilities by creating ways in which we can all share little bits of something. That something might be a single tweet, a blog, a comment, a bit of time processing data, a few minutes proofing a document, a few pounds towards the funding of someone elses project. Social media has made it easier than ever before to share little bits of our surplus resources in ways that it make it easier for ourselves or others to aggregate them into something much bigger. If anyone has witnessed how quickly a meme grows or how fast the process of developing an idea can move when it’s powered by social media-enabled relationships, they’ll have seen this process at work. Where once we were limited by people we had met in real life and with whom we could organise a face to face or telephone conversation, or by people we had met virtually and could communicate with by letter, now we can devote our resources to a social good working closely with people we have never, and will never, even meet. Good reciprocal relationships make for good conditions for sharing and building together. That’s the opposite of ‘building your brand’. It’s this something much bigger that really interests me, and which I hope to explore on the 29th April. I’ll be asking: in what ways can we use social media as a way of bringing together lots of little things to make a big change? I’ll be exploring how we make sure that social media does not lose its potential to disrupt in positive ways without succumbing to the crushing, deadening logic that turns social media from a zone of possibility and adventure to an arena for corporate message advancement. I look forward to you joining me, Shirley Ayres and Paul Taylor on the 29th April to be part of a very social conversation. Book your ticket now – the early bird price ends 18th April. PS: If you cannot access paypal we can provide an invoice but we will need to charge the full price to cover the additional costs involved. PPS: If you are unable to attend and want to support what we are doing let us know if you would like to sponsor a place! What makes it special for me is that Mark, Paul and I come from very different backgrounds but we have a shared interest in how social media is defining care, support and community engagement both online and offline in the digital age. We are also exploring what it means to be a social business and the importance of seeing social media as part of a core vision to transform your business rather than a marginal activity. We are delighted that we already received sponsorship for a place at the event which has been awarded to Alison Cameron @allyc375. If you would like to sponsor a place at the event do get in touch! We look forward to discussing the questions submitted by participants and via Twitter. Whether you work in the public, private, charity or social enterprise sectors understanding the impact of social media for social good is now essential. We do hope you will join us on the 29th April for a very social conversation. You can follow the discussion on Twitter using the hahtag #socialconvo. Following the considerable interest in my post “Is social media putting the ‘social’ back into care” we particularly welcome people from the care sector interested why “Social media is a fundamental shift in the way we communicate” . Our conversations started when Stu Arnott @MindingsStu and I interviewed Mark and Paul for the Disruptive Social Care podcast. The podcasts have been downloaded thousands of times but just in case you missed these interviews……. Mark Brown has been described as one of the smartest thinkers in the worlds of social media and mental health. Mark edits One in Four, England’s only national mental health and wellbeing magazine written by people who experience mental health difficulties. Mark is a director of Social Spider a community interest company helping people to make change happen. and Development at Bromford a social business providing homes and support to over 80,000 people. Paul leads the Innovation Lab and he is particularly interested in the development of preventative social solutions and the power of technology to connect people. Paul was a key part of the team who developed the Bromford Deal which aims to shift resources away from reactive interventions and into more person centred customer care and support.